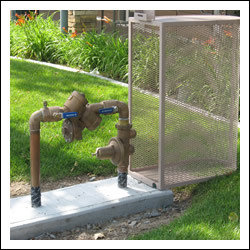 Ahlee Backflow Services builds and isntalls custom backflow theft prevention cages and security systems. 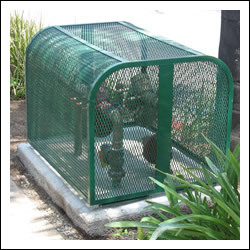 Thieves are taking advantage of your unprotected backflow system and cashing in on scrap metals stolen from backflow prevention devices. Don’t become a victim. Protect your backflow assembly and your business, and prevent any disruption in your water service that may come as the result of a missing or damaged backflow assembly. 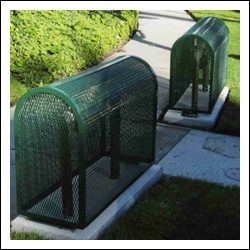 Prevent backflow assembly theft – give us a call or fill out the form and we’ll contact you.